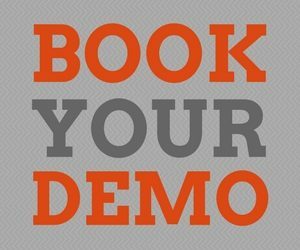 Our Story - Jentu Technologies Inc. Together we can secure and accelerate any network . The early versions of Jentü were the beginnings of a computer network management software created by Computer Doctors On Call (CDOC) for internal use. CDOC, a sole-owner Managed Service Provider (MSP) had offered MSP services to the Greater Toronto Area since 1986. As an MSP, CDOC managed 4377 clients individually. To do this would have been impossible without the early iterations of Jentü. Today, it still is. The early iterations of Jentü were called CDOC Restore, PC Pacemaker & Diskless Computing Generations 1-5. 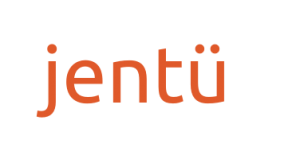 Today Jentü is the second generation of Information Technology (IT) & Information Security (IS) re-imagined and re-engineered. From 1995-1998, CDOC’s Abraham Megidish took on a multi-position role as an LAN Administrator/Business Systems Analyst/Hardware & Software Systems Engineer/ Worldwide Networking & Communications Specialist for Estee Lauder Cosmetics. Even with CDOC, he had that much time. Abraham managed their entire infrastructure using the concepts of Jentü. It worked so well that the late Tony Morello stated he couldn’t believe the size of the team that was hired to replace Abraham, after he became extremely ill.
Abraham had same problems as every other MSP – constantly firefighting, staff churn, long hours at any time of the day or weekend or holiday (and even during his wedding). Abraham had to develop a solution for the problem. That’s Jentü. For nearly 10 years, CDOC refined the technology and the processes that make Jentü possible. Our case studies bear out the hypothesis – more secure, faster, simpler centralized network management. It’s easy to use and incredibly stable. CDOC managed a medical practice for 8 years for the former District 11 chief of medical staff, ENT, professor emeritus University of Toronto and former surgeon at St. Joseph’s Medical Centre in Toronto. During this time, there were little need for support – 5 years of which had 100% uptime. We also managed an insurance brokerage for 10 years with multiple iterations of Jentü – with only one incident – a non-preventable electrical failure. CDOC had them up and running in less that 2 hours, including 15-minutes for coffee together. In 2014, it was decided that THE SOFTWARE IS THE SERVICE. We put CDOC into “hibernation” to complete the development of Jentü and de-risk it for commercial use. We had a small team. In 2017 we developed a secondary tool called JentüRemote – which allows remote access to a desktop through any browser. This was required for us to meet the needs of our enterprise level prospects. Along with JentüRemote, we now have a much larger team with over 200 deployment experts worldwide. We’re here today, offering the next generation of network management technology. We’re the only company on the planet with a network management solution that offers unparalleled security, savings, speed, simplicity & stability. You need a secure network. We believe networks should be inherently secure. Jentu turns the golden image (which contains your Operating System) into an application-driven streaming protocol. This is achieved by intelligent caching and carefully crafted bits which control a representation of the disk block to the endpoint in a Jentu network. This means very little data traverses the wire and ensures network usage is low and intrusion detection is easier then ever before. You deserve a fast network. We believe your network should be fast. Jentu’s adaptive storage has been rigorously tested and found to accelerate network speeds up to 20x even with the most simple switch – and over WiFi! When Jentu is streaming your Operating System, DATA coming from your local storage or remote cloud is delivered simultaneously, resulting in response times for network endpoints that are unparalleled. We believe all your data should belong to you! It’s likely the reason you moved to the cloud is because the existing network tools were expensive, ineffective, hard to manage and required a team to maintain. If you had a software that solved these problems, saved you money and improved your overall experience, would you even consider the cloud? Trusting your DATA with a third-party has led to billions of $ in irreparable data breaches. Should your DATA be in someone elses hands? Should your DATA not belong to you? Jentu creates a “local cloud” – one that is more stable and secure than a remote DATA centre. It solves all the problems of current internal network models, at a fraction of the cost. “The Cloud” just means someone else’s server. Bring your cloud home. Secure your DATA internally. We stabilize your network, providing an end-user experience that allows you to control your DATA in a reliable network environment. We believe that traversing packets should be made “simple but not simpler“, since most breaches target the endpoint or IoT device in search for a persistent vulnerability. In a Jentu world, there is little to exploit on end user devices since there is no endpoint storage. There’s no hard drive to hack. Jentu has adaptive storage, used in a uniquely clever way unlike anything offered by the virtualization platforms of the modern data centre. Our disaggregated approach is inherently secure and reaches very low latency with an elastic algorithm and replication. All networks are interconnected, whether local or in the cloud. An infected machine, linked to other endpoints, causes all endpoints to be at risk of infection. We know infections and breaches are inevitable. The question is, how to limit infection and breaches? How fast can you deal with them? Can you mitigate the damage before it spreads? The pitfalls of user desktops today – whether virtual or physical (and even when users are well-educated), are evident. Zero days have exposed unseen amounts of malicious viral infection to hundreds of millions of desktops worldwide via an infinite array of phishing methodologies. In current network models, there is a huge opportunity for breach and infection because of the significant volume of attack vectors – your hard drives. In most cases, mitigating a breach or infection can take weeks to months. The cost to you is more than money – time, your corporate reputation, your job and possibly your corporation are at stake too. CEOs are fired regularly for failing to properly protect the company from a breach. In the Jentu model, attack vectors are reduced because there are no vulnerable endpoints. We don’t require persistent storage or caching (hard drives) at the endpoint. In our design, the attack vectors are reduced and easily managed because malware cannot access the golden image on your server. With Jentu, mitigation of a breach takes seconds. A simple reboot of the system resolves 99% of your network issues. Turn off. Turn on. Problem gone. Which network model would you prefer?